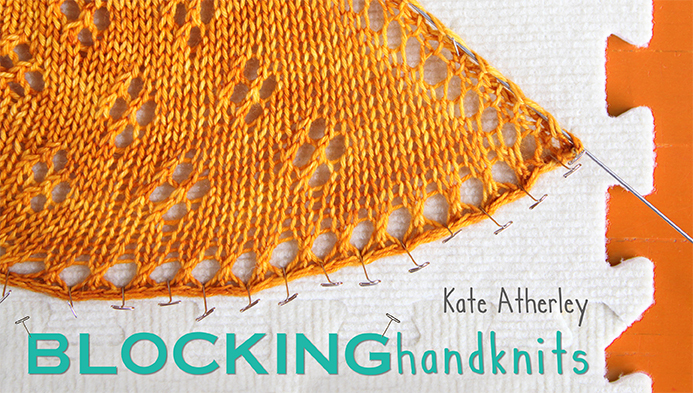 From Kathleen Sperling, aka @wipinsanity (and designer for Knitty), comes this new fun project: A Mystery Twit-Along. 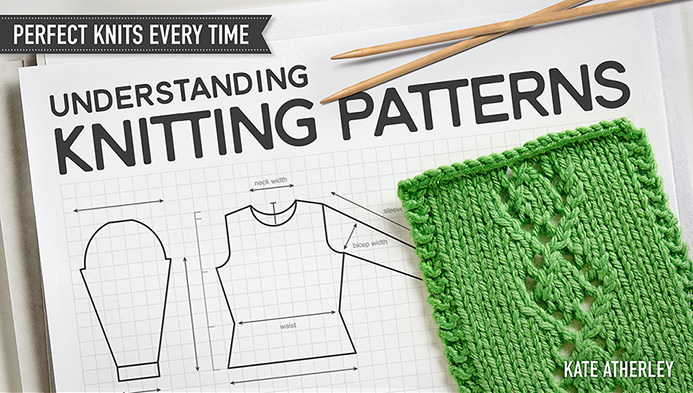 “I’ll tweet out a bit of the pattern instructions every two days, and you can follow along with your #knitting and see what takes shape. Sound good? It’ll start May 9…” That’s today! 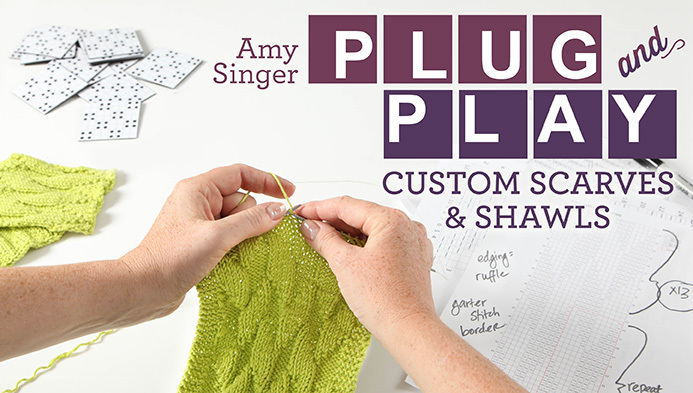 From Susan Crawford: if you’re in London (the UK one), you’re in luck! 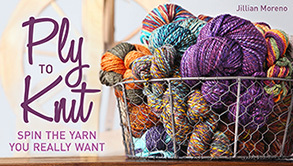 This Saturday, you can join Susan at the launch party for her new book: The Vintage Shetland Project. 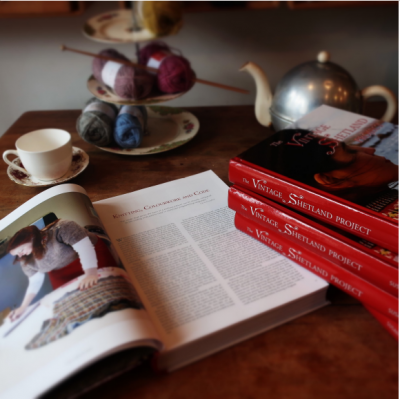 Susan is an acknowledged expert on vintage British knitwear, and this has been an 8-year project of love. I can’t wait to see this book myself. 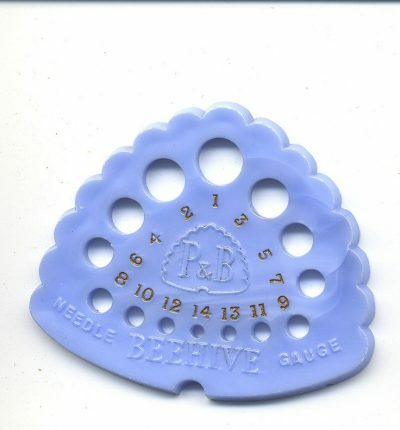 Vintage Beehive knitting needle gauge. Size 1 is the largest. That’s confusing. I was talking with a friend about the origins of the needle gauge system, specifically talking about needles from the beginning of the last century, and she pointed me to this article. It’s written for Anesthetists, but I think the same principle may apply to craft needles of all kinds. It all goes back to the milling of the wire. 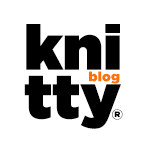 My google-fu isn’t coming up with anything that officially links the information in this article with knitting. Does anyone have more information that I can add here? No link for the last article. The same might be true for old US steel dpns (which had different sizing from ‘standard’ needles, but look fairly similar to UK sizing).